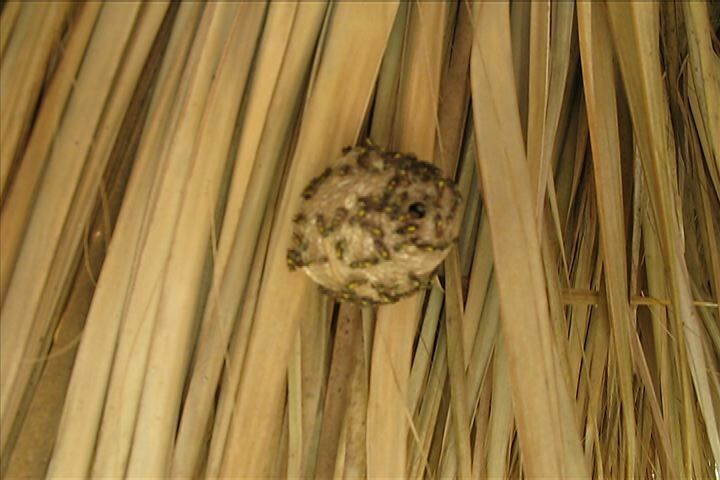 While trying to install our signal booster antennae on our new house, we heard a buzzing and came across a buzzing mess lurking under the palm fronds. Kim grabbed a plastic bag and I got in place with the camera. With a quick grab he was able to safely contain the stinging creatures within the bag and quickly chuck the swarming mess over the fence. Problem solved! This entry was posted in Nicaragua, Videos and tagged bee hive, bee removal, eco friendly, hipehabitat, holly beck, kim obermeyer, nicaragua. Bookmark the permalink.